BRYCE CANYON – Visitation is beginning to pick up at Bryce Canyon National Park as seasonal facilities reopen and hours are extended. Besides these schedule adjustments, construction projects are also scheduled to begin. Trail access is still limited by unstable winter conditions that inhibit the park’s ability to respond to emergencies. For visitor safety, hiking is only permitted along the Rim Trail between Inspiration and Fairyland Points, and the Mossy Cave Trail. Plow crews are currently working to reopen the park’s southern scenic drive beyond Mile 3, and are hopeful to restore access in April. At present, viewpoints are open as far south as Bryce Point, while Paria and Fairyland Roads remain unplowed for winter activities. Snow has also limited the available number of campsites within Loop A of North Campground, which is kept open in winter. Additional campsites will be opened as conditions allow. The park is making regular assessments of conditions and hopes to make additional areas accessible as soon as possible. Check the “Alerts” section of the Bryce Canyon website for the most current conditions. The park Visitor Center and Bookstore is currently open from 8 a.m. to 6 p.m., extending to 8 p.m. on April 28. The Bryce Canyon Shuttle will begin its service to the Bryce Amphitheater area of the park on April 12. Riding the shuttle bus is free but requires payment of the park’s entrance fee. Shuttles will run from 8 a.m. to 6 p.m. daily, with hours extending by an hour on May 8. A reminder that during shuttle hours, vehicles over 20 feet are restricted from the Bryce Amphitheater parking areas (Sunrise, Sunset, Inspiration, and Bryce Points), so be sure to take advantage of this service to see some of the park’s most iconic areas. Twice-daily trips to the park’s southern views on the Rainbow Bus Tour will resume on April 12 if the southern scenic drive is accessible. This 3 ½-hour tour is free but requires reservations, so inquire at the Shuttle Station in Bryce Canyon City or by calling 435-834-5290. Lodging within the park is currently available at the Sunset Motel. The Sunrise Motel will reopen March 29 along with the Lodge at Bryce Canyon, which will open at 11 a.m. for lunch and dinner and continue to offer full breakfast, lunch and dinner options for the season. Reservations can be made by visiting the Lodge website or by calling Forever Resorts at 435-834-8700. Valhalla Pizzeria and Coffee Shop will open on May 24 and will provide dining options from 7 a.m. to 9 p.m. daily. Those looking for trail snacks, groceries, a penny machine or showers can head over to the General Store at Sunrise Point, currently open from 8 a.m. to 5 p.m. with hours extending to 8 p.m. later in the season. Ranger programs – including daily geology talks, guided walks and astronomy programs – will be offered as the season unfolds. Program times and dates are posted on the calendar page of the Bryce Canyon website. 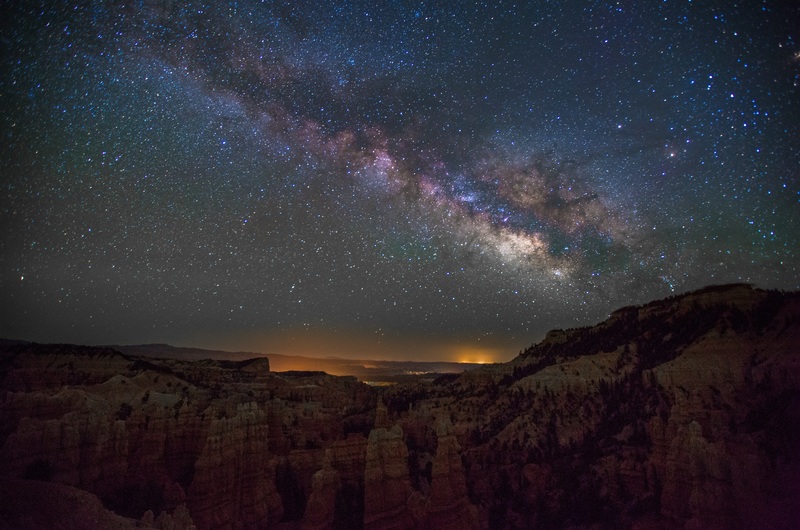 Popular annual festivals include the park’s “Astronomy Festival,” scheduled this year from June 26-29, and the Geology Festival, scheduled from July 26-27. Both events will feature guest speakers, special ranger-guided activities and opportunities for the entire family to enjoy learning about the unique resources protected within Bryce Canyon National Park. Due to construction, camping will be limited in 2019. Paving of Sunset and North Campground roads is tentatively scheduled to begin in early May. Sunset Campground will close first and then reopen, then North Campground will close. During paving operations, all campsites in the park will be first-come-first-serve. Reservations will be made available on a campground-by-campground basis as construction is completed and can be done online. 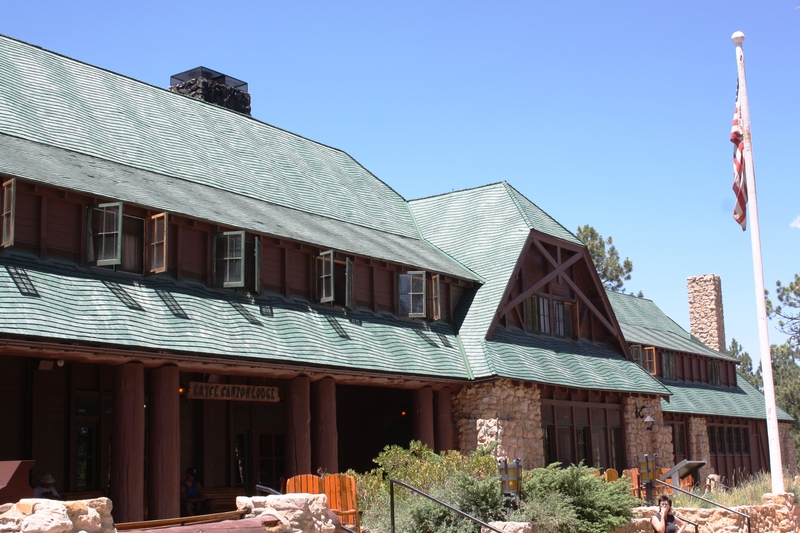 Repaving of the Bryce Lodge parking lot is scheduled to begin in May, while reconstruction of the Visitor Center parking lot will begin at the end of July. Be prepared for alternative parking arrangements at these locations. Construction is also planned for walkways at Inspiration and Rainbow points. Short-term closures can be expected at Rainbow Point, though access to Yovimpa Point will remain open. Impacts of these construction projects will be mitigated as much as possible, but visitors should be prepared for possible noise and traffic interruptions. Additional information can also be obtained by visiting the Bryce Canyon website or by calling the park’s main information line at 435-834-5322.